“Come on,” he said, reaching out his hand and grinning that grin of his. Wyn grinned back and came with him. “Design classic,” The Doctor said. “He’ll be gutted by that comment!” The Doctor grinned again and turned around, but then his smile faded. He stared at a woman who was standing outside one of the catering vans. She was staring at the TARDIS as if the sight of it was causing her physical pain. Slowly, The Doctor stepped towards her. “Dodo?” She turned and looked at him as if she hadn’t realised he was there until he spoke. Then she fainted. He caught her as she fell and lifted her easily. He turned and carried her back to the TARDIS. Dodo began to come around. She looked up at The Doctor who grinned disarmingly. “Hello, Dodo,” he said. She stood up and ran for the door. The Doctor was quite surprised when it opened easily for her. It should have been locked. “You let me down, old girl,” he admonished the TARDIS, looking meaningfully at the console. The green light of the central column changed in intensity momentarily. “Ok, so you’re not making it easy for me.” He turned and followed her outside. Dodo was standing a few feet away from the TARDIS looking at it. Then she walked all the way around it and came back. She stared at the open door where The Doctor patiently stood. Wyn came beside him. He touched her arm and indicated to her not to say anything for a moment. The Doctor stared at her. It WAS Dodo, no question. But somebody had broken her spirit. The girl he remembered from the 1960s was bright, bubbly, full of fun, willing to suspend her disbelief and take everything thrown at her. She cried in his arms for a long, long time. He held her until she was done. Somebody had done her a great harm, he thought. Psychiatrists? What do they know? Freud? He’d told him a thing or two. Time Lords did NOT have neuroses. They might have split personalities after a couple of regenerations, but that was nothing they couldn’t handle. “Something like that,” he said. She didn’t look as if she could cope with an explanation of regenerations right now. She had known him as an old man with white hair who walked with a stick. Here he was, looking younger than she did. She would be what…. 34, 35 by now? She looked older. The years had treated her rough. Her eyes looked tired. Her face had lines that shouldn’t have been there. Even her black hair had fine strands of silver. Too young to be so old. Wyn, bless her, had already thought of that. He brought her back into the console room and through to the rarely used drawing room. Tea in a china pot was on a table with a plate of biscuits. Dodo sat on a big, squashy old armchair that enveloped her small frame. She still looked as if her world was spinning faster than the 1,670 kilometres per hour it was supposed to be going at. He poured tea for all three of them. For a little while, sitting in the TARDIS drawing room with its fake window that was really a viewscreen looking out on Wembley stadium’s preparations for the afternoon’s big event, something like a peaceful normality reigned. “Well, Wyn calls me Ten,” he said. “The Doctor… The first Doctor had brown eyes?” Wyn asked. She had become used to Nine’s slate-grey eyes that could be hard as steel or soft as rainwater depending on his mood. She hadn’t really looked at Ten’s eyes as much. But they were nice. Kind eyes, she thought. And full of laughter and fun. Just looking at him made her want to smile. She tried to imagine those same eyes in the face of an old man, but she couldn’t. “Got a picture somewhere,” The Doctor said and he turned and rummaged through the drawers of a sideboard. This room was one of those that existed only in potentia, of course. Neither he nor Wyn were drawing room people as such. But because on this occasion there was a need for soft, comforting armchairs, an illusion of gentility, the door that could have opened into just about anything, opened into this room. And the dresser drawer opened to reveal a photograph album. He took it out and sat down again, giving the album to Dodo. She opened the album and smiled. The first picture was of herself, aged sixteen, a petite girl with short black hair and a mini dress of the 1960s fashion. An old man with a walking stick and white hair stood beside her. He had twinkling eyes and a warm smile. Behind them was a familiar blue box. Other pages had pictures of her in different dresses, all of which made Wyn very glad she was born in the 1990s. HER legs were just not up to those short skirts. 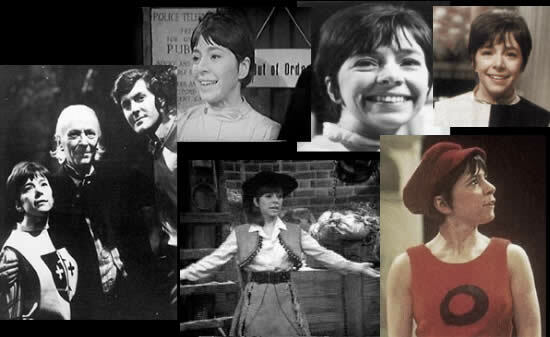 “Who’s that?” she asked about one of the pictures that had a young man in it along with Dodo and The Doctor. “What happened to him?” Wyn asked. Dodo looked at him and her brow furrowed. How did The Doctor’s grandson know so much about things that must have happened before he was born or at least when he was only a child? “Well, why don’t we go see him?” Wyn suggested. “Oooh!” Dodo looked agitated again. “I’m supposed to be setting up the van. I’m going to be in so much trouble.” She jumped up from the chair. Her tea cup arced into the air and would have smashed if The Doctor had not snatched it safely in mid-fall. She ran out of the room, down the corridor to the console room and out again. The Doctor, running after her, again glanced at the console and asked it why the TARDIS couldn’t keep hold of her. He and Wyn reached the fast food van just in time to see Dodo get fired, loudly. “Who the &%£$”* are you?” the man demanded. “&%£$”*,” the man said again and jumped into the driver’s seat of the chip-van. The Doctor stepped back sharply as he put the vehicle into gear and drove away. He didn’t get very far. When he clipped a police van coming in the opposite direction his troubles REALLY began. The van’s tax was out of date, and he would bet any money it didn’t have an MOT certificate. Wyn suddenly realised what the concert was. And who the ‘Bob’ was who would be “gutted” that she didn’t remember it. The concert was everything they expected. They enjoyed it thoroughly, and in a unique way. When the London section of the Live Aid concert was over at a little after ten o’clock in the evening, The Doctor took Wyn and Dodo back to the TARDIS and took them to the Philadelphia concert that continued for five more hours. Then, finally, in the dawn of the Sunday morning, they arrived back in London and dropped Dodo off at the end of her street. “Do you think you should have told her you ARE the same Doctor she knew?” Wyn asked him as he watched her walk away. He began to run. Wyn ran after him. She saw him reach Dodo’s house just as a man ran out of it. He shouted and looked at the man and then turned and ran into the house. “Oh, no!” Wyn cried when she got there. The Doctor was bending over Dodo as she lay on the floor. Her throat was cut. There was blood pouring out. And even The Doctor, as clever as he was, could do nothing to help her. She was dead. The Doctor stood up and looked at Wyn as she cried openly. His face was ashen and he was obviously holding back his own tears. Wyn was still crying when they got back to the TARDIS. He told her to go to bed. She nodded and turned away. He called her back. “The universe isn’t fair,” he sighed. “I’ve spent enough time in it to know that.” She nodded and smiled weakly and then went to her room. He put the TARDIS into temporal orbit and then he wandered away into the drawing room where they had sat so happily earlier. He picked up the photo album and sat in a chair, idly looking through the memories of a long, long life. After a while, he fell asleep. He followed her through to the console room. The first thing he noticed was that they had landed. That was odd as he had not programmed a co-ordinate. Then he looked up at the viewscreen and knew Wyn’s assessment of the situation was correct. Something funny WAS going on. They appeared to be back in the same place and time they were yesterday. He checked the destination panel to confirm it, and realised there was something else that was odd. The Doctor looked at her and seemed on the point of replying. Then he looked again at his database. And he couldn’t think of a single reason why she was not right. According to the TARDIS records they had never been to this time and place before. He checked it twice more to be sure. They did everything the same way; there was no need to change anything much about the day up to a point. They met Dodo, they helped her discover that she had not been hallucinating when she met The Doctor for the first time. They took her to the Live Aid concert in both London and Philadelphia. But this time The Doctor and Wyn walked with her to her front door. “Take care,” The Doctor said, kissing her on the cheek. “You’re as nice as your grandfather,” she told him and went into the house, shutting the door behind her. The Doctor waited. He heard Dodo scream. He kicked the door in and rushed inside. “I’ll kill you!” he snarled, lunging at The Doctor, a long carving knife held like a dagger. “No!” Dodo screamed and ran in front of The Doctor. She gave a soft cry as the knife plunged into her heart and fell back into his arms. The man pulled the knife from her body and turned and snarled at Wyn as she tried to block the door. He did the same as last night, leaving the phone off the hook on a 999 call and they walked sadly back to the TARDIS. The second time around it felt even more gut-wrenchingly futile. He sent Wyn to bed and sat on the battered old leather chair in the console room and stared at the green glow it emitted from deep within. He meant to stay awake, but he drifted off for a few minutes. No more than that, he was sure. He didn’t even remember taking his eyes off the console. He must have dreamt he was still awake. But the next thing he knew, Wyn was shaking him. “It’s Groundhog Day again,” she said grimly. He looked up at the viewscreen and sighed. “What can we do differently?” Wyn asked. He was. This time he was careful to leave Wyn in the TARDIS as he walked Dodo to her home. At the door, he put his arms around her romantically, kissed her on the lips, and suggested coffee. She looked surprised and pleased. In a life that had been filled with too many disappointments, suddenly there was a good looking man who wanted to come in for coffee. She clung to his hand as she opened the door. She was too afraid he might change his mind and go. Too much to hope for. Coffee would do. She led him to the kitchen and it was there her life began to unravel again. She stared at the broken window pane and the back door that swung open. And when she turned he was standing there in the shadows with the knife. She screamed as he ran at her. She screamed again as The Doctor stepped in front of her and HE took the length of the carving knife in his stomach and fell. The last thing her brain registered before the knife sliced through the air a second time, slashing her neck, was that The Doctor’s blood seemed a strange colour. The Doctor woke with a start and found himself lying on the console room floor. He stood up and looked at Wyn as she waited by the life support console. He didn’t even bother to look at the viewscreen. The problem, they reasoned, was that the man was going to break into the house and kill her in revenge for what happened in the morning outside Wembley. “If she doesn’t meet us, she won’t lose her job,” The Doctor decided. And he pressed keys on the drive control and pulled the lever. They felt the TARDIS groan and whoosh briefly and looked up to see that it had moved fifty yards or so down Wembley Way and was concealed by a big advertising hoarding for the Live Aid concert. They mingled with the crowds who wanted to eat burgers and chips before going to a concert in aid of people who had never even heard of burgers and chips and were dying for lack of even more basic foodstuffs. The irony of it seemed obvious to The Doctor and Wyn. They wondered if it had occurred to anyone else. Dodo was hard at work all day. People with their hands stamped with ultra-violet markers to show they had tickets came almost continuously for food. She looked absolutely exhausted at three o’clock when The Doctor sent Wyn to buy a couple of burgers and check up on her. The Doctor tossed the still wrapped burger into a bin some ten metres away. Wyn said it was a fluke but he did the same with the second one before taking her by the arm and suggesting they eat somewhere nicer. Dodo would be ok for a few hours - as long as the customers kept coming and she didn’t eat any of the food herself. She WAS all right, although The Doctor wondered how long a shift she was expected to work. She was still serving burgers and chips from the van when the crowds surged out of the stadium after ten o’clock. And it was nearly an hour later before she was able to shut down and tidy up. Her slave-driver of a boss had gone to the pub meanwhile and returned looking the worse for the wear about 11.30. “What are you standing around idle for?” he demanded with a slurred voice. “Lazy retard.” She tried to argue that she had packed up the van and had nothing else to do but he wasn’t listening. He grabbed her by the hair and started to drag her into the van. “Leave her alone,” The Doctor yelled, deciding that non-intervention could only go so far. He stalked towards the man and pulled Dodo away from him at the same time as he floored him with a right hook he had learned from the famous Victorian boxer, J. L Sullivan many lives ago. He took the bewildered woman by the hand and led her away but before he had reached the safety of the TARDIS Wyn screamed a terrified warning. He turned too late to avoid the van ploughing into all three of them. He felt his bones crack on impact and knew that Dodo’s hand was wrenched from his as she was dragged under the wheel. He yelled as he opened his eyes and found himself lying on the floor of the console room. Wyn was standing above him. She looked wretched. “THAT one hurt,” she said. “Yes,” he agreed. “It did.” He stood up and walked to the console. He stared at the same old time and space co-ordinates. “What do we have to do to get away from here?” he asked himself out loud. “The dole office in the morning, and maybe another dead end job.” Wyn said with a grimace. Wyn smiled. It was nice of him to say that. “You’re not to blame for her life going wrong,” Wyn told him. First, they had to go through the day the same as before. At the point where he was sitting with Dodo in the TARDIS drawing room drinking coffee, though, he asked her a lot more questions about that difficult time of her life after he had left her. “What was the name of the institution where you were sent when they sectioned you, Dodo?” he asked. “You never had any family, did you, Dodo,” The Doctor said with a sigh. This time they didn’t do the Philadelphia section. They took Dodo home right after the London concert. Because, The Doctor reasoned, that maniac who wanted to kill her was still serving his rotten burgers until nearly midnight and she would be safe until then. It made no logical sense, but he didn’t think he could do what he wanted to do unless he left her alive in London. Something would not let him leave until then. It worked. He looked at the new co-ordinate. 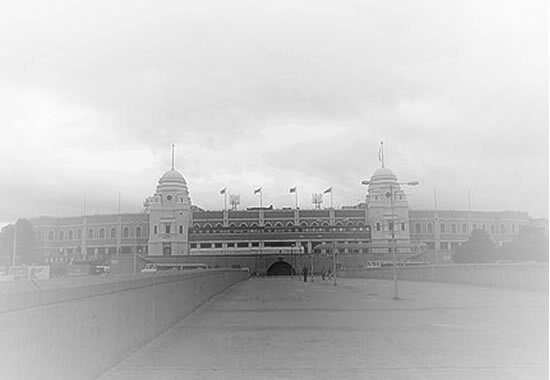 It seemed so long since he had seen anything but the co-ordinate for Wembley, July 13th, 1985 that it was strange to see something else on the navigation display. He flicked on the viewscreen and looked at the garden of Brockley Hall Mental Hospital in August, 1967. Two days after Dodo had been admitted to it for treatment. “You make a very demure personal secretary.” He smiled at the skirt, blouse and jacket that made her look five years older than she was. It was about the only persona he could think of to explain her being with him. And she wasn’t having the ‘stay here in the TARDIS’ routine. Why should she? Nobody before her had ever put up with that. He left the TARDIS nestled under a weeping willow tree that almost, but not quite, concealed it and walked up to the entrance to the hospital. At the reception he identified himself as Doctor John Smythe, a non-de-plume he occasionally adopted. The psychic paper seemed to be used to that name, anyway. Wyn wondered if even that quite convincing cover story would have worked if The Doctor didn’t also seem to hypnotise everyone he met. He did it in a subtle way. He spoke very calmly, and quietly, and he looked straight into their eyes. They were putty in his hands. It seemed amazingly easy to get through to the section of the hospital where Dorothy Chaplet was being “treated” for her mental afflictions. The teenage Dodo stood up from her seat in the recreation room. It was by the barred window. She had been looking out at the garden. She came quietly and stood in front of the ‘nice’ doctor, saying nothing, expecting nothing from him but another uncomfortable session of analysis of her psychoses. “Come along, Dodo,” he said to her. Her eyes flickered. Nobody in the hospital called her that. He held out his hand and she hesitantly reached for it. “We’re going to take a walk in the garden,” he told the head nurse. She seemed on the point of objecting when one of The Doctor’s stares hit her full on. She burbled something about being back in time for tea and thought of something else she should have been doing. They emerged into the garden. Dodo breathed deeply in the fresh air and smiled. “Who are you?” she asked, staring at him. There was something familiar about his eyes, but she wasn’t sure what. “He’s his grandson,” Wyn told her. “Carrying on the family business. He’s done some remodelling of the inside since you were here last, but I think you’ll like it.” She reached out and took Dodo’s hand as The Doctor took his key from his pocket. They heard the sound of running feet and a panicked shout of ‘Dorothy!” as they stepped inside. The Doctor was right. The game was up! But they had won it. “But what now?” Wyn asked as Dodo sat on the old leather chair and drank tea while The Doctor programmed a new co-ordinate into the console. They hadn’t even reached the door when a dark haired woman in her mid-40s ran out and met them halfway there. “Yes!” He hugged her tightly, another old acquaintance renewed. Wyn grinned to see them. Dodo looked at him curiously. “That you are, Wyn,” he laughed. “Ace, before this conversation gets too crazy, I want you to meet another Dorothy who isn’t keen on being called that. This is Dodo. She’s homeless right now, and could use a good friend who has a nice garden. I thought she might be able to help you out here until she gets on her feet.” He explained to Dodo that the one time juvenile delinquent, now Mrs Dorothy Weir, ran a boarding school for girls with what was euphemistically called ‘behavioural problems’. They stayed to tea. How could they do otherwise. But then The Doctor and Wyn said goodbye.